26th May 2018 by Airport247·Comments Off on We Drove Cross-country With Our Cat (and Nobody Died). Here’s How. 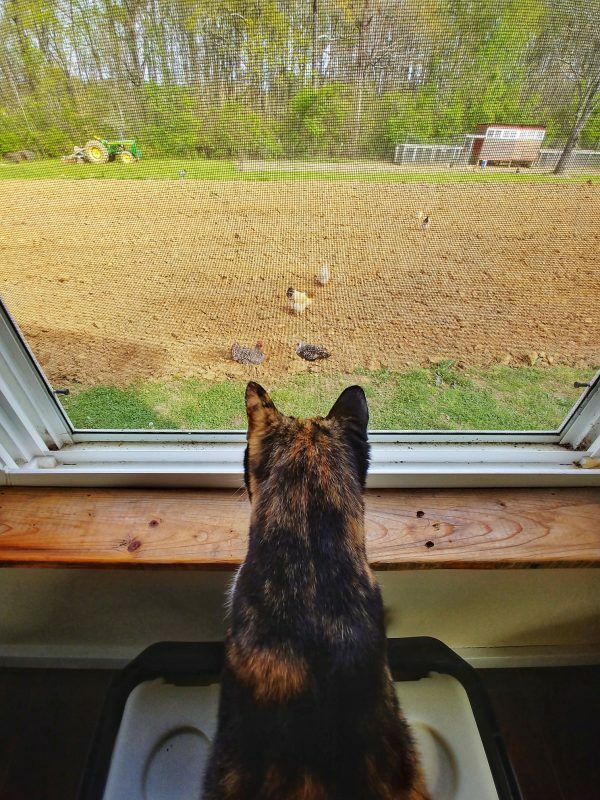 “Dogs have owners; cats have employees.” So goes the conventional wisdom. So, when we decided to take our “boss”, Lizzi, on a three-month road trip of the U.S. East Coast, people told us we were crazy. They weren’t wrong. Frankly, we had no clue how to travel with a cat in a car long distance. Anyone who’s ever tried taking their feline for even a five-minute car ride knows the struggle. Now, imagine bringing them on a seven-hour drive. It can be … stressful. But, our current living situation left us no choice. So, we prepped and researched and did the best we could to make things as comfortable for everyone as possible. Fast-forward to the middle of our road trip. 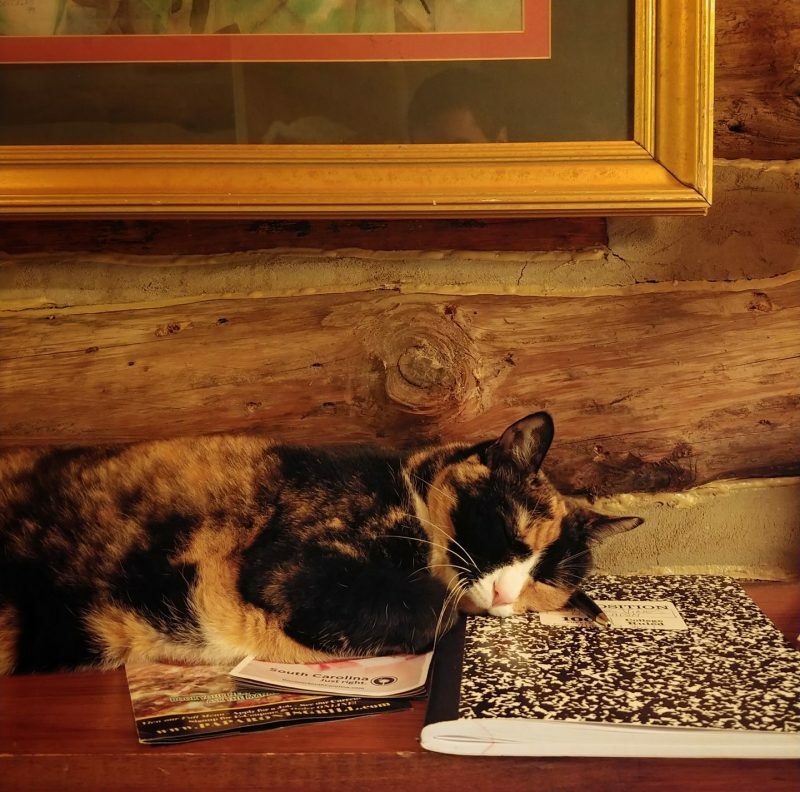 We’ve been traveling with our calico kitty for almost two months now, and we’ve learned quite a bit about what works. 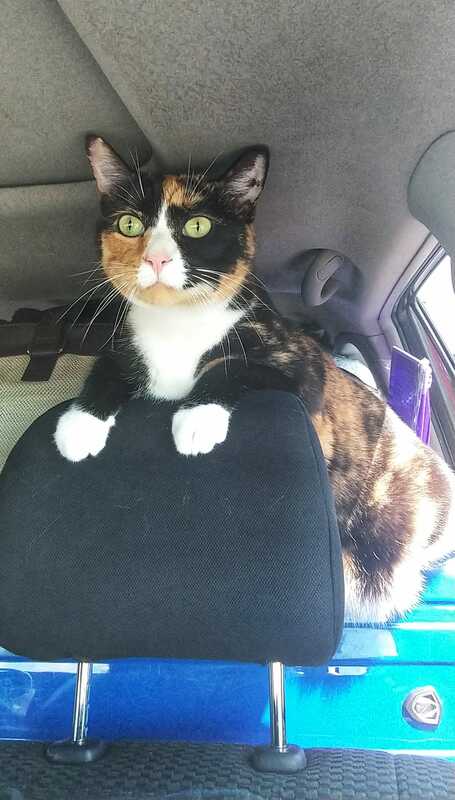 Here are our favorite tips for keeping your (and your cat’s) sanity on a long-term road trip without anyone ending up in the hospital. Of course, the best way to see how your cat will react on a long distance car ride is to actually put them in the car and go somewhere. It’s one thing to drive them quickly to the vet and back. But, you want to see how they’ll react on a long distance road trip. We took a few short trips near home to see how Lizzi dealt with it. Almost any cat will be stressed, especially at first. Lizzi was no different. We let her out of the carrier in the car, she paced, she panted, she cried. She wasn’t happy. But after about an hour, she began to calm down. Now, she still paces, pants, and cries on travel days but only for a short while. Then, after about 20 minutes, she usually settles down on top of our belongings in the back seat and just chills out. Or, at least tries to chill out. Most cat owners rarely consider their cat’s carrier or crate. It’s not something most people use often. But, your cat will likely spend more time in and out of it on the road than ever before. Make sure it’s sized properly for your kitty. We had a soft-sided mesh carrier which worked fine. But, we ultimately switched to this hard-sided carrier with a removable fluffy liner, and Lizzi is much happier with it. 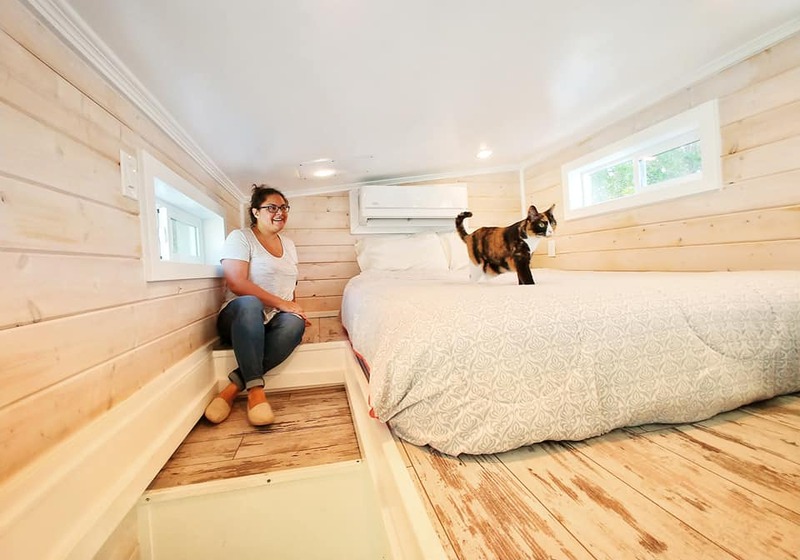 We bring it into our Airbnbs and she’ll oftentimes curl up inside of it and sleep. Of course, depending on your cat’s temperament, you may not need a cat carrier at all. We probably don’t as Lizzi is fine being picked up, held, and carried. But, we opted to use one anyway for the added security of knowing that she won’t get spooked once we stop somewhere and run off. This one’s a no-brainer. Before leaving home, make a stop at your local vet. Make sure your kitty is healthy enough for travel. Shots up to date? Any obvious health signs that should be investigated before hitting the road? Do you need to load up on prescription meds to last the duration of your trip? Any special dietary needs to tend to (e.g. does she need special food that may be hard to find away from home)? Aside from occasional breaks on our apartment balcony, Lizzi has been an indoor cat her whole life. I’m not sure she’d last ten minutes outdoors. Either something would eat her (she’s awfully plump) or someone would steal her (she’s far too pretty). Or she’d just plain wonder off and get lost. This last reason is why we paid to have her microchipped. The service is available at most vet offices these days, and it costs around $50. But, the rice-grain-sized chip isn’t even noticeable by her or us. And it’s serious peace of mind on the off-chance she goes missing while we’re on the road. Cats are creatures of habit. Making their environment as comfortable and familiar as possible is key. We packed Lizzi’s favorite blankets so we could lay them out at Airbnbs for her to curl up on (this has the added benefit of protecting our hosts’ furniture). Anything — toys, chews, scratching posts, etc. — that already has your cat’s scent on it is a good thing. Cats adapt slowly to new environments. They need to get their bearings, orient themselves, and ease into feeling comfortable with the new smells, sights, and sounds around them. This is especially true when you take your cat on a long distance road trip, and their new world becomes the backseat of a car moving at highway speeds. For our road trip, we opted for fewer travel days but each day is a bit longer. We found about six hours is Lizzi’s max in the car. Any longer and she gets very stir crazy and irritable. Moving around less also means that we’re staying in each destination a bit longer which gives her more time to acclimate to each new living space along the way. You may think you know your cat. But stress can make cats behave in mysterious ways. Lizzi has a pretty relaxed attitude, especially by cat standards. But she hates — hates — being in her cat carrier. And in the car. And especially in her cat carrier in the car. Before recent trips to the vet, we discovered half of an all-natural calming treat helped ease her state of a mind. We’re not keen on medicating her to the point where she’s “stoned,” but were less keen on her being needlessly terrified for six hours. We found those same treats help relax her for car rides. Especially during the first 1-2 hours where she’s likely to be the most stressed. We were positive Lizzi would have no interest in food while on the road trip. But, since we have to stop every day to give her her medication, we found it an ideal time to attempt a bit of dry food as well. We’ll typically stop half-way through our travel day to grab some lunch for ourselves. This is when we’ll pour a small serving of dry food into her familiar food dish and let her snack a bit. She rarely eats much when we stop, but something is better than nothing. Water has been another story. She really won’t drink in the car. But, most of her daily water intake comes from eating wet food (which we give her in the morning and at night), so that doesn’t seem to be an issue. Of course, the most challenging part of long-distance road tripping with a cat is how to handle the dreaded bathroom break. Dogs are easy; the world is their bathroom. But cats need the right setting: the perfect lighting, some votive candles, Yanni music, and, of course, a litter box. To be honest, we had no idea how we’d handle this in the beginning. We just wung it for the first few weeks, and hoped for the best. We figured she doesn’t pee more than 1-2 times a day at home anyway so a few hours in the car would be a cakewalk for her. Then an idea hit us … our clothes were packed into a single, large suitcase in the backseat. It was easy enough to stop in a shady spot at a truck stop or service plaza, then pull the entire suitcase out and leave it next to the car. In the space left by the now-removed suitcase, we put a disposable litter box and poured a bit of litter in the bottom. To our amazement, Lizzi the (now expert) Travel Cat hopped in and peed almost immediately! Once she’s done, I wrap a plastic litter box liner around the entire litter box and stow the whole thing back in her travel tote. Then, I put the suitcase back in the backseat, and we’re on our way. It goes without saying that you should never leave an animal in a sealed-up car, period. On travel days, one of us is always in the car with Lizzi with the air conditioner running. So she stays calm, cool, and safe. Like dogs, cats naturally soak up stress from their bosses (er … owners). If you’re wigging out and screaming in traffic, your cat will sense that and, in turn, stress out more. Maintain your composure, talk softly to them occasionally to remind them you’re there, and soothe them as best you can. Some cats may want extra affection while traveling which is why it’s ideal to have a co-pilot, while others may want to be left alone. You just need to see what works best for your kitty. No matter where you’re staying — at a hotel, Airbnb, or campground — you’re going to want to clean up after your cat at checkout. We packed a washable rubberized mat to place under her litter box. It’s a snap to pick up and shake out over the trash when we’re ready to leave. Plus, we can hose it down in the shower if it gets a little funky. We also packed a full arsenal of cleaning products including this ultra-portable, stand-up Shark Rocket vacuum and a Swiffer kit. Since we’re mainly staying in Airbnbs for this road trip, we want to be the best guests we can be. And that means leaving our accommodations better than we found them. Once we get where we’re going, our routine is to bring the cat and all her accouterments (which is a shocking amount of things) inside before doing anything else. Lizzi is so habituated to life on the road now that, once we stop and I call her to her carrier, she climbs right in. We set up her water, food, and bathroom immediately so she can start settling in as quickly as possible. Then we tend to all the other things we need to do at each stop. Of course, your mileage with these tips may vary. Dogs are a bit more predictable, laid-back, and easy to travel with in general. Cats are temperamental, finicky creatures by nature. Some, none, or all of these tips may work for you. If you’re heading on a long-distance road trip with your cat, I hope for your sake it’s smooth sailing. It’s all still a work-in-progress for us. As we’re gearing up for an even longer fall road trip, we’re keen to hear other travelers’ experiences. Let us know in the comments below what did and didn’t work for you! After two short months on the road, it seems Lizzi has become the model of how to travel with a cat in a car long distance! 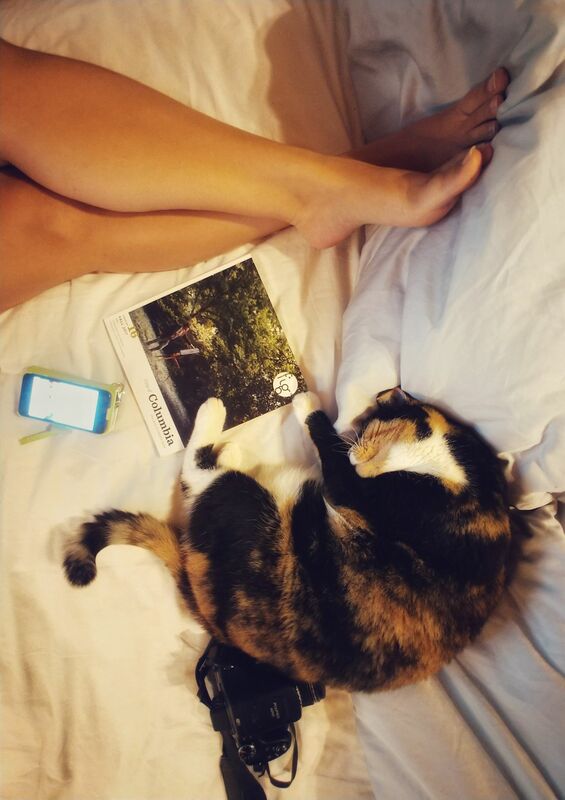 The post We Drove Cross-country With Our Cat (and Nobody Died). Here’s How. appeared first on Vagabondish.